We love soup around here, so we’ve put together some helpful tips for how to make the best leftover chicken soup. Since it’s just the two of us (plus Marmalade), Adam and I almost always have leftovers. We used to be so terrible about using them up (and to be honest, sometimes still are), but we are getting better and usually find whatever we do with the leftovers turns out to be tastier than the original meal anyway. YOU MAY ALSO LIKE: How to easily roast a whole chicken with lemon and garlic. 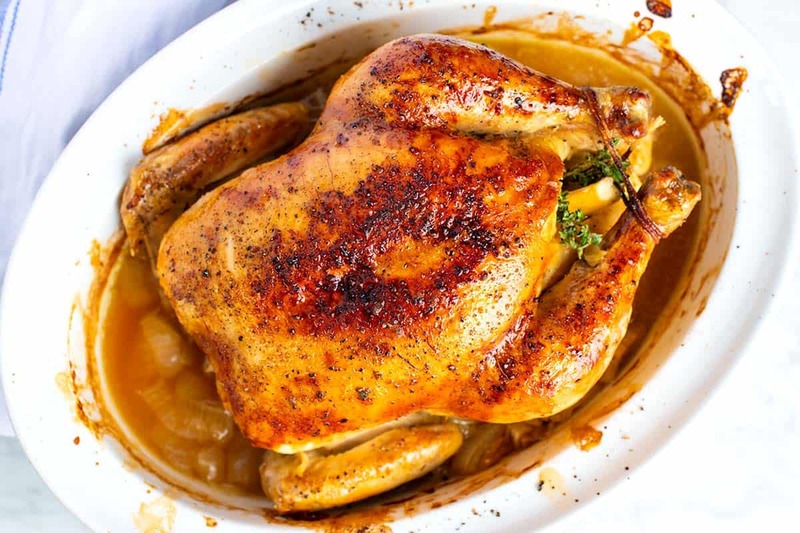 Jump to the Whole Roasted Chicken Recipe. 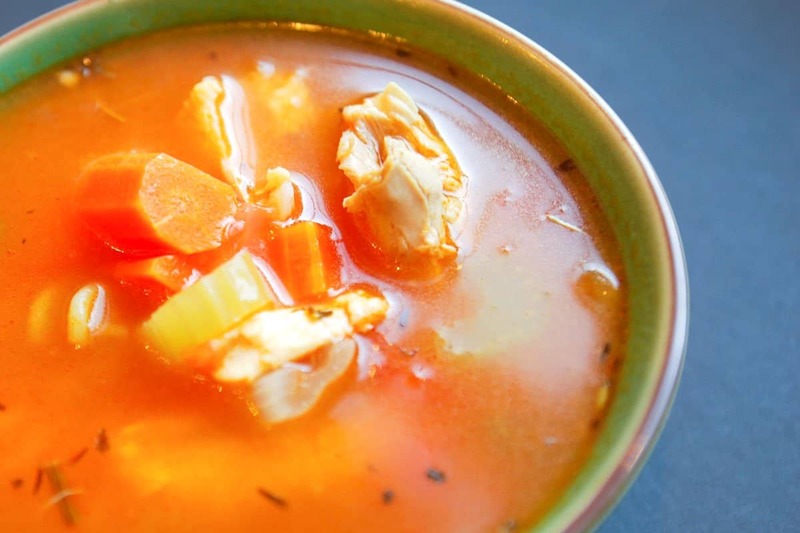 In our opinion, the best way to use up those leftovers is soup, so we figured we would give you a few ideas for something pretty common in our condo, leftover chicken soup. Depending on what you have in stock, create a base using an assortment of onions, garlic, celery, and carrots. Cut the onions, celery, and carrots into 1/2-inch dice for a heartier soup. 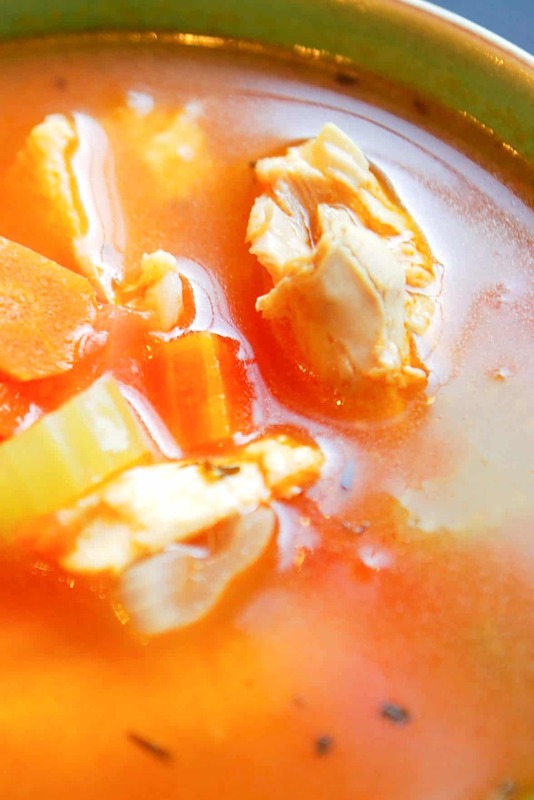 As a basic process, cook your base vegetables for about 10 minutes to draw out the natural sugars, then add any dried herbs and seasonings along with the leftover chicken and finally add stock — we love this recipe for homemade chicken stock, we usually add 4 cups and simmer for about 20 minutes. Add some pasta, rice or uncooked potatoes to the soup for some heartiness, for 4 cups of chicken broth use about 1/2 to 3/4 cups of uncooked rice and pasta and one large uncooked potato cut into cubes. If you are using rice, add it at the same time as the chicken stock and simmer for 20 minutes. If you are adding pasta, add it 10 minutes before serving, so the pasta does not get overcooked. For potatoes, add them 5 minutes into cooking the base vegetables. Just before you add chicken stock add a mixture of dried herbs for more flavor. My favorites are a bay leaf and about a tablespoon of herbs du Provence or Italian Seasoning per 4 cups of chicken stock. Season all layers of the soup with salt and pepper for a well-seasoned soup. Add one can of diced tomatoes for a richer broth or a can of beans. We like to rinse the beans before adding them to the soup. If you have some to use up, add leftover mashed potatoes to the broth to make a thicker soup. For a creamier and more luscious soup, you could add about 1/4 cup of milk or half and half or even allow some mascarpone cheese to melt into the soup. This also rounds out the flavors nicely. 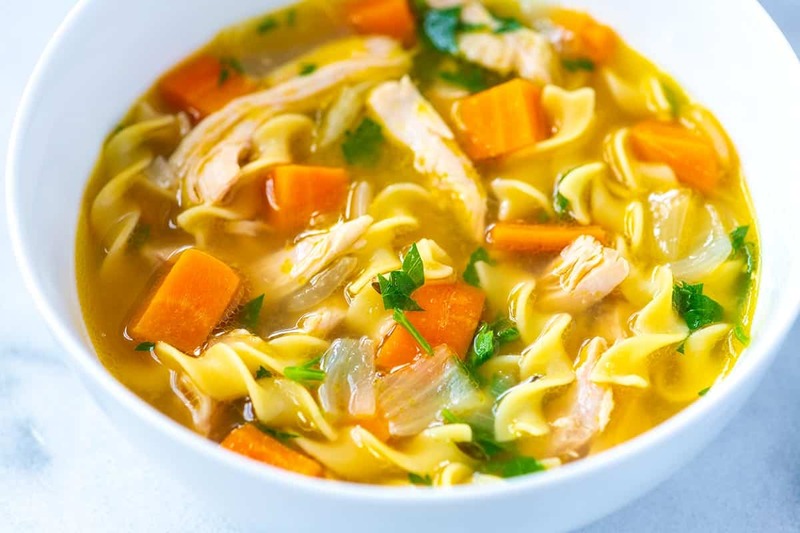 YOU MAY ALSO LIKE: This easy homemade chicken noodle soup recipe is healthy, satisfying, and tastes incredible. It’s faster to make than the traditional version, too! 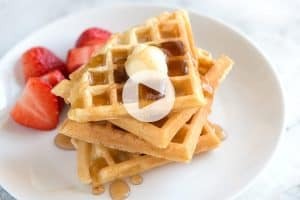 It’s a rainy day, and this got my brain reeling with ideas of cleaning out my fridge and making a perfect gray day dinner. I used added some asparagus with the celery & carrots, squirted in tomato paste since i didnt have any canned/fresh, and tossed in cooked rice leftover from chinese food near the end- very tasty, healthy & hit the spot! Chicken Soup is one of my favorite dishes of all time. 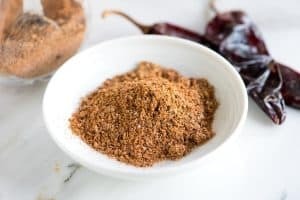 it is very tasty and the ingredients are very available. sometimes i put a dash of chili over my chicken soup because i like it spicy hot. Awesome tips! I’ve never thought about adding mashed potatoes to soup, that is so clever. You’re so right about the pasta too, when I first started cooking, the pasta in all of my soups was always so mushy :P! With the Fall weather just around the corner this chicken soup recipe looks like a great weeknight dinner or just a bowl to warm-up.